Does your show have an executive producer? I don’t just mean is there someone on the show’s staff with that job title. I mean is the guy or gal behind the glass a creative force that makes the show better? Since starting with Barrett Sports Media, I have written a lot about what makes a good executive producer. But maybe it is time to examine what makes someone an executive producer in the first place. Some of it is about the way the person in that position does his/her job, but a lot of it is about how the people around that person view him/her. Most hosts are quick to say they want an executive producer. That’s smart. A good executive producer makes a host’s job easier. Now, if you are a host, think about this: are you preventing your producer from making your life easier? As radio properties are consolidated under just a few corporate umbrellas and companies and stations look to cut costs, there are plenty of hosts in decent-sized markets that only get one part time employee as their entire support staff. If you’re in the fortunate position of having a full time employee to work behind the scenes to make your show better, you have to let them do more than just technical busy work. Otherwise you are at the same disadvantage as the guy with one part-time helper. The difference is you have created the situation yourself. What makes the guy or gal behind the glass an executive producer and not just a button pusher is trust and empowerment. Both come from the host and from the program director. Let’s start with trust. A host has to trust his or her producer’s ear. Every station has their P1 listeners. Your producer is your ultimate P1. He or she knows when a topic is hitting and when the audience is bored. If a host doesn’t trust his or her producer to steer the ship, then that host isn’t doing his or her best work. 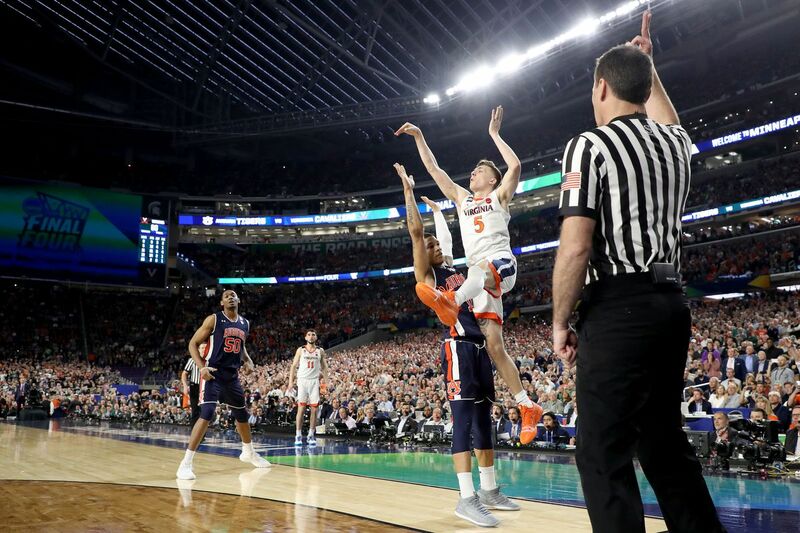 How can you develop a nuanced and interesting take on the end of Virginia’s victory over Auburn when you are concerned about tracking down clean audio from Kyle Guy’s three point attempt? How can you focus on holding a listener’s interest if you have to split your attention between what you’re talking about right now and what you need to have ready for the next segment? Trust that your producer wants the show to be good. Trust that he or she will think of elements to enhance your takes or track down interviews that make the show more interesting. The question isn’t just “Will he or she cost us our FCC license?”. It’s “Can this person execute the vision I have for the station and make his or her show sound the way I need it to for the station as a whole to have success?”. If the answer to either of those questions is an out right “no” or even “I’m not sure,” you might want to rethink hiring that person in the first place. Trust leads to empowerment, which might be the most important thing a host or a PD can give to a producer. Empowering a producer to propose topics, track down guests, and most importantly say no when the host proposes a segment that isn’t right for the show that day makes it clear to everyone involved that this is a partnership. It gives the producer a sense of ownership over what is going out over the airwaves. The other important way to empower a producer is to let him or her hold the host accountable. Adam Klug, who is now the program director for 97.3 the Fan in San Diego, used to produce Doug Gotlieb’s show at a number of different stops. The two were on stage together at the BSM Summit in February. Both talked about how much Gottlieb benefitted from Klug being empowered to tell Gottlieb when he wasn’t doing his best work. As a host, your producer is your partner. As a PD, you should trust that your producer can be your voice in the room, and if your host looks at the executive producer as his or her partner, that person might be able to get your message through to the host in a way you cannot. Your executive producer needs to have his or her handprint on the show. I have written this before, but it bares repeating. The host’s name may be on the show, but that doesn’t mean that the executive producer doesn’t have an equal amount of equity in the product. The Dan Patrick Show doesn’t sound as big and authoritative if Todd Fritz doesn’t have the autonomy to book the guests he thinks make the show better. 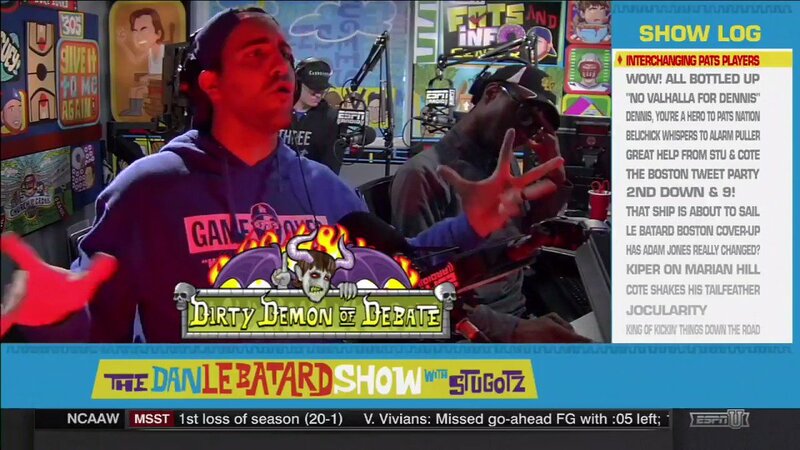 The Dan Le Batard Show isn’t as popular or entertaining if Mike Ryan doesn’t have the freedom to create elements like The Kentucky Fraud Chickens or the Dirty Demon of Debate. Don’t turn your executive producer into a button pusher. Empower him or her to make his or her show better. Whether you are a host or a PD, an executive producer that has your trust will make your life easier.